When the club’s coach or manager imports members list or creates a new athlete profile manually, they create a virtual athlete. The profile can be connected with a real person any time, hence becoming an active athlete. Virtual profiles can be used to store athlete information, track attendance & payments, create training history for younger athletes, etc. without the need for the real athlete to sign up on Sportlyzer. With active profiles, people associated with their profiles have full access to add, edit or delete their information. The athlete also has access to their training schedules, training plans, club information, and much more. Whenever possible, we suggest that you connect athlete profiles with real members. Navigate to the athlete profile of the virtual athlete you want to send access to and click on his name. On the left side of the athlete profile, you have a number of actions you can choose to do with this athlete. If this athlete is not connected to a real Sportlyzer account, one of the action will be "Give access". Click on this action if you want to link this account with his/her personal Sportlyzer account. Option 1: give Basic access for players and their parents. This is the option that is most commonly used. Option 2: give access to the advanced player(s). This option should be chosen if you know that the player needs to analyze and log their training, etc. When you start sending access, a window opens with an email template. 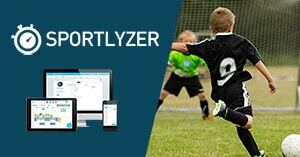 This email also gives the athletes and their parents a small introduction about how to start using Sportlyzer. You can read more about the difference between basic and advanced players here.